All Natural Beauty Treatments - from your Kitchen! Fancy pampering yourself from head to toe, but don’t fancy going out to buy the treatments? 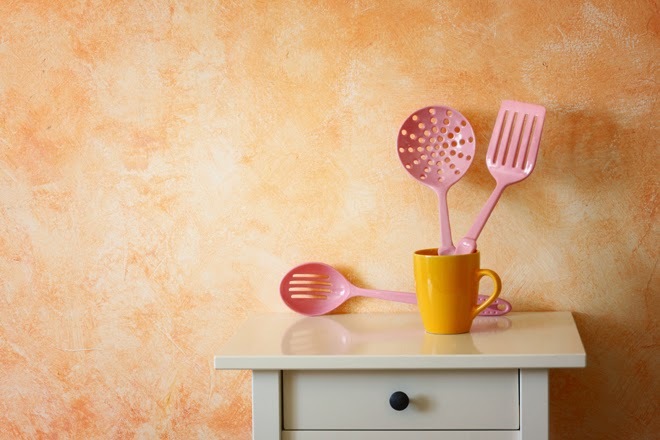 Worry not as your kitchen will have everything that you need. Read on for a list of everyday ingredient that can be used as a natural beauty treatment carried out in the comfort of your own home. Whether you decide to combine these beautifying ingredients to make a face mask or include them in your diet you will benefit from the goodness they provide. MAKE IT: Banana and yoghurt face packs make your skin feel smoother. To make your own, mash 2 tablespoons of natural yoghurt, half a banana and 1 tablespoon of honey together and then apply to the face for 15 minutes. EAT IT: To make a banana and yoghurt smoothie simply blend a banana with yoghurt and add milk. Why not add a few frozen berries and a handful of oats too (or even some peanut butter for a banana & peanut butter smoothie!). 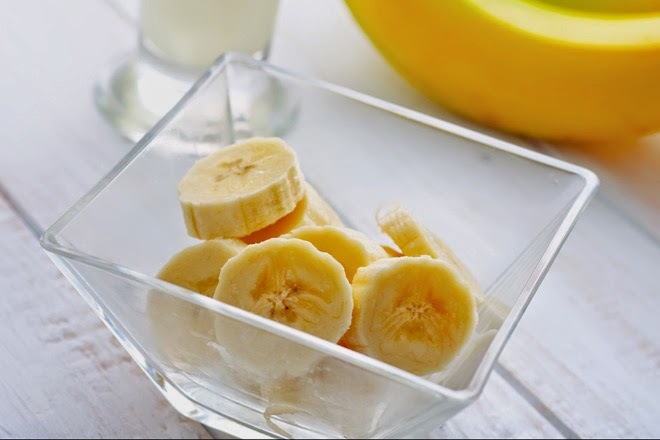 Nutrition Facts: Bananas are a delicious, naturally pre-packaged fruit that can be easily eaten on the go and are full of fibre, vitamins and minerals, including potassium. Yoghurts are a fantastic source of calcium and protein and the probiotic yoghurts can even help to improve digestive health. 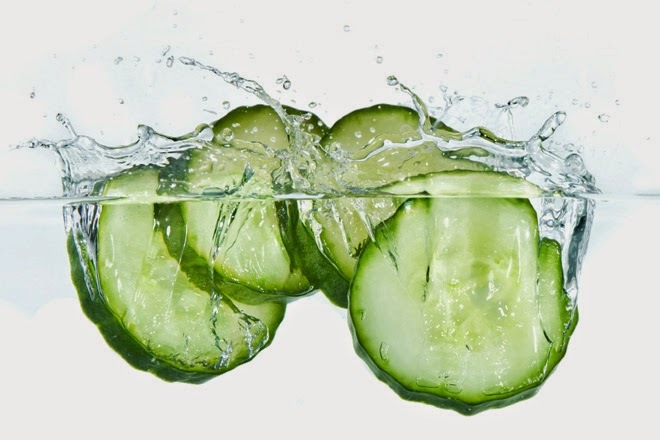 MAKE IT: Cucumbers can help to reduce puffiness around the eyes. Simply cool, slice, place onto the eyes and then sit back and relax for 10 minutes! EAT IT: To make cucumber water slice a cucumber and pop into a jug of (covered) water overnight in a fridge. The longer the water cools for, the more flavour you will have. Nutrition Facts: Cucumbers are not only hydrating but provide us with a range of nutrients including, potassium, and vitamin C and K. Cucumbers are also extremely low in calories so feast away and enjoy their goodness guilt-free! 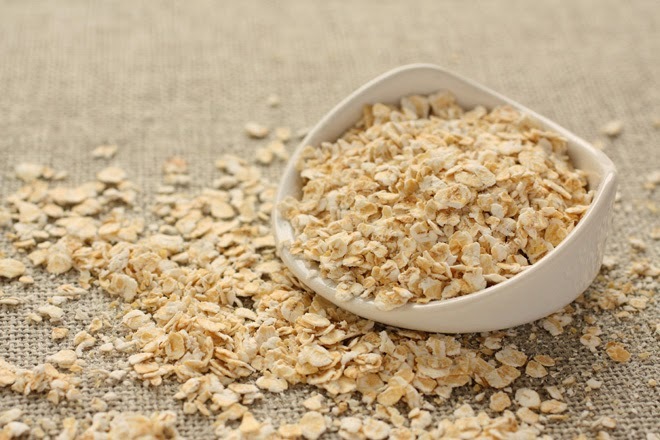 MAKE IT: Oats are a natural exfoliator on the skin. To make your own facial scrub simply mix 2 heaped tablespoons of oats and 1 teaspoon of baking soda into a paste (using oil or water) and scrub onto the face in circular motions. EAT IT: Make a delicious bowl of porridge oats with milk and top with a sprinkle of cinnamon and a few blueberries. Nutrition Facts: Oats are a wholegrain, which means they are a fantastic source of slow release energy to keep you fuelled throughout the day. Oats are also a source of soluble fibre which helps to reduce cholesterol and keep our digestive systems moving! MAKE IT: A honey and olive oil hair mask is ideal for dry or frizzy hair as it will help add moisture to your hair. Simply mix five tablespoons of extra virgin olive oil to 4 tablespoons of honey and mix well before leaving on the hair for 15 minutes. EAT IT: Add honey to porridge, fresh fruit or natural yoghurt for a sweeter taste, or use 1 teaspoon of extra virgin olive oil per person, per meal for a tasty salad dressing mixed with lemon juice and black pepper. 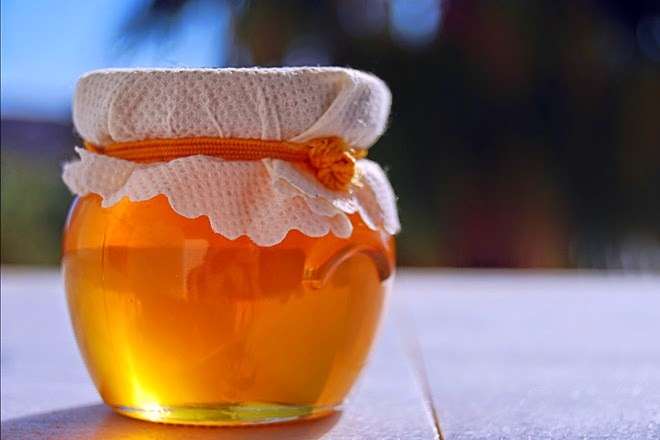 Nutrition Facts: Honey is a natural energy source and sweetener, and has a slightly lower glycaemic index than sugar (it releases its energy more slowly). Extra virgin olive oil is high in mono-unsaturated fatty acids, which are ‘good fats’ essential for heart health. MAKE IT: A hand scrub is the perfect start to your beauty pamper session as it helps to ensure that they are clean! 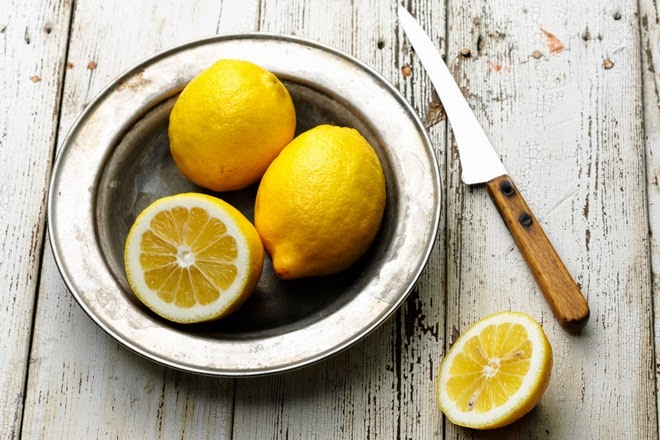 Simply mix the juice of 4 lemons, with 3 tbsp of coconut oil (at room temperature) or olive oil and 1/2 cup of brown sugar in a bowl and use as a hand scrub with warm water from the tap. EAT IT: Jazz up water with lemon ice-cubes. Simply chop a lemon into pieces and add to an ice-cube tray along with water and freeze until needed. Nutrition Facts: Lemons are packed with vitamin C which is essential to keep us healthy, and they are also a natural cleanser. How do you like to pamper yourself?! Article by Nichola Whitehead of Nic's Nutrition.